Fiji XT is the GPU that’s allegedly going to power AMD’s first set of next generation graphics cards in 2015. The R9 390 series, rumored to be equipped with HBM 3D stacked memory and built on a new manufacturing process. What this recent leak signals is that indeed the inevitable release of this GPU is creeping in. After a bit of digging around we were able to find that many previously launched AMD GPUs were leaked in the Zauba shipping database prior to launch. Going all the way back to 2013 traces of both AMD and Nvidia GPUs have made their way to the database usually just a few months prior to product launch. The fabled AMD Fiji XT GPU has cropped up again in the Zauba shipping database. This time however AMD has been a little more attentive to covering up the tracks. What’s perhaps more interesting is that the listing matches the previous one letter for letter with one slight difference. The listing doesn’t include any reference to Fiji XT in the description. But it doesn’t take a genius to guess what has happened here. AMD has been obviously following the rumor mill very closely in the past little while and had caught on to the previous Fiji XT leak. So they decided to remove Fiji XT from the description in hopes that anybody searching for Fiji XT in the database will come up empty handed. Thankfully I had anticipated that AMD would do such a thing and decided to use different search parameters with great success. The PCB assembly for Fiji was shipped from AMD’s graphics headquarters in Canada to their headquarters in Hyderabad India. The design is complete for the GPU and it has been going through the testing and validation process for the past little while in preparation for market introduction. There’s a lot of mystery surrounding Fiji specifically in relation to which manufacturing process it will feature. Analysts have repeatedly asked Lisa Su, AMD’s CEO and ex COO about AMD’s plan for node transitions. And Lisa Su gave the exact same answer every single time. 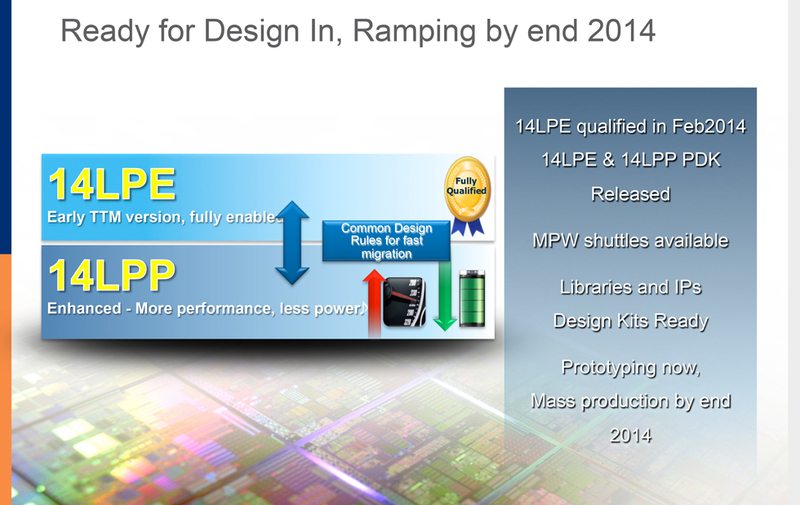 “We’re currently at 28nm in 2014, we’ll be transitioning to 20nm in 2015 and we’ll go to FinFET after that” . When an analyst asked specifically about AMD’s process transition plan for GPUs, he was given the exact same answer. He was told that this is AMD’s overall plan across the company’s entire product line and that they weren’t prepared to comment specifically in relation to GPUs. Keeping the cards close to the figurative chest helps not to give any clues to the competition. Thankfully Rory Read AMD’s ex CEO did provide more specific guidance in the Deustche Bank Conference. Rory Read as President and CEO of AMD, referring to 28nm and FinFET. When you’re on the cutting edge and you don’t have a huge amount of volume, your yields aren’t particularly great. We want to get there and we will continue to go down the curve; we’re going to go Fins and we’re going to 14 and 10, and all those things will occur, but we want to do it in an orderly way. Rory Read, talking about going with a cutting edge process for Project Skybridge and high-end graphics for 2015. 28-nanometer is going to be the dominant space for a long period of time. We’re going to leverage that, it’s got the best dollars, the best yield. It plays in a lot of the businesses we’re going after. We will go cutting edge on certain parts like high-end graphics and even into some of the PC and embedded space, but we want to catch that curve where it makes sense. Rory Read referring to die stacking (HBM). I will make one other point on that too. There will be some very interesting technology in terms of stacking and chiclets to kind of — you could go cutting edge on certain parts of the design and then combine it with more efficient designs to really get a better cost model. According to Read, AMD was going to stick with 28nm for 2015 across the majority of its product lines except for two very specific segments that he mentioned by name. These were and I quote “some of the PC and embedded space” and “high-end graphics”. 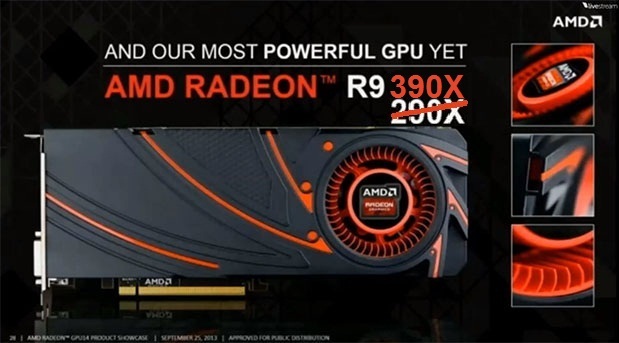 For those two, AMD will be using a “cutting edge” manufacturing process rather than 28nm. And I happen to know that Project Skybridge APUs are the ones that Rory Read was referring to in relation to the embedded and PC space, since AMD has made it public that those will be manufactured on a 20nm process , very likely by GlobalFoundries. Now the only question is which “cutting edge” process exactly is Rory referring to for “high-end Graphics”? If Fiji is a Q1 2015 product, which it’s rumored to be, making FinFETs less likely , even if AMD decides to be an early adopter on the “cutting edge” as Rory put it. We know Globalfoundries has already begun volume production of 14 LPE and will begin volume production of 14nm LPP in Q1 2015. Samsung already has both flavors of 14nm in volume production. We also know that it will be making 14nm chips for AMD. Which can explain why AMD is notably missing from TSMC’s 16FF+ partners list. Especially since AMD was on the list for 28nm back in 2011. But I would still put TSMC’s 20nm process as the major candidiate. Simply because Rory confirmed in the same conference that AMD is currently working with TSMC on “next generation parts” and that AMD will continue to have a relationship with TSMC for “a long long time”. TSMC currently has 20nm in volume production, the argument however is that TSMC’s 20nm SOC process isn’t suitable for high end GPUs due to its low power characteristic. That’s not entirely accurate however, 20nm SOC simply isn’t as compelling as FinFETs from a cost and performance perspective.. The main advents of TSMC’s 20nm compared to established 28nm nodes are the reductions in die size and power consumption but those are largely offset by the significantly higher cost per wafer and relatively similar performance. 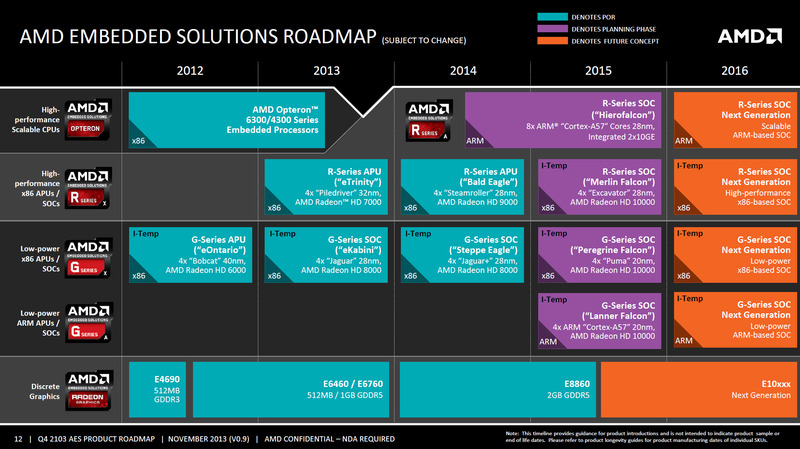 From all of AMD’s official commentary and various leaks it’s obvious that the company is targeting 20nm for Fiji. There’s absolutely no reason for AMD to have skipped releasing Fiji already, had it actually been a 28nm part it would’ve been out by now. What AMD is doing is what it has always done in the past. Which is to simply wait for the right spot in the yield and cost curves for the new process to begin volume production. Historically speaking, between AMD & Nvidia, AMD has always been the first to jump to a new node, often introducing products 3-9 months ahead of Nvidia. This was true for 28nm, 40nm, 55nm, 65nm and even prior to that.